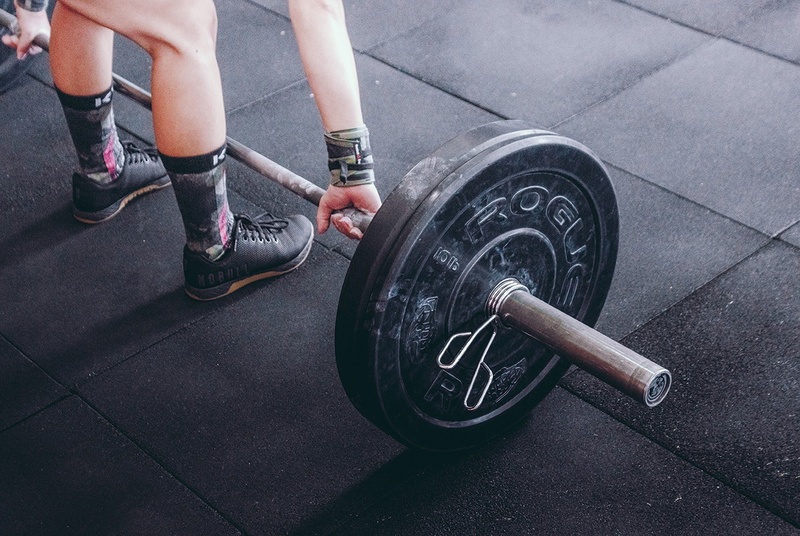 The fastest growing segment of the population in the United States are individuals over 65 years of age, and statistics show that back pain is the most common muscular condition affecting any population, with a prevalence of 4-33% at any given time. This number is even higher in older adults with an estimated prevalence of 56%. The high prevalence and the disability of a chronic condition such as back pain can limit the normal functioning of an older adult compared to those without back pain. Actions such as turning, bending, standing and lifting cannot be easily accomplished, and quality of life can be significantly diminished. As older adults are living longer free of disabilities, it is important to find a way to safely treat older patients who experience low back pain. For many years, spine surgery was performed as open surgery. However, new technological advances have made it possible for more back and neck conditions to be treated with minimally invasive surgical techniques, which benefit patients in a number of ways, including faster recovery times and reduced risk of complications. 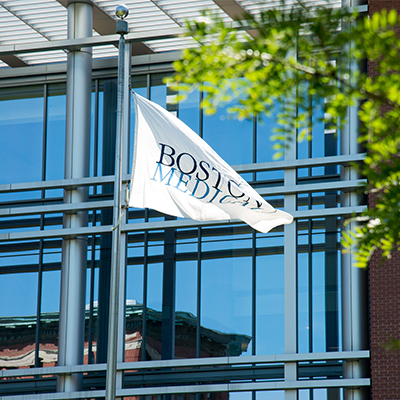 Boston Medical Center (BMC) is home to a minimally invasive complex spine surgery center, offering a patient-centered approach to treating chronic back pain with the most advanced techniques. 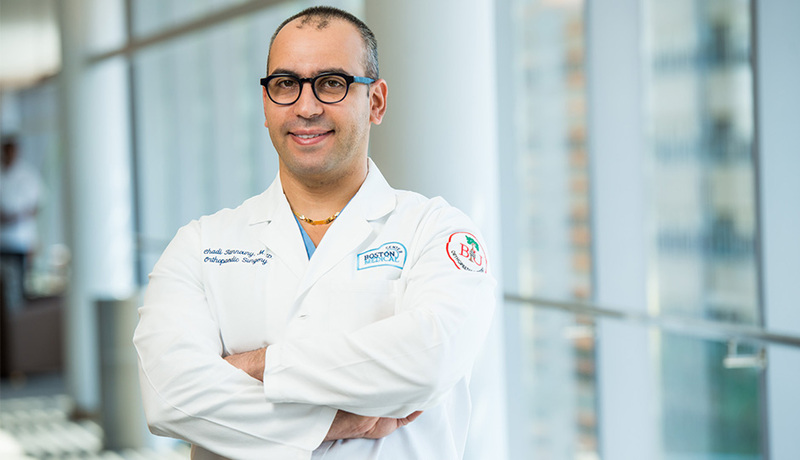 Orthopedic spine surgeon, Dr. Chadi Tannoury is fellowship-trained and board-certified, with experience in all adult spine, back and neck conditions. He has a particular focus on accurate diagnosis and providing the most appropriate surgical or nonsurgical treatment. From diagnosis to the development of a treatment plan to post-operative care, Dr. Tannoury and his team, which includes emergency and trauma physicians, radiologists, and physical and occupational therapists, balance the advantages of cutting-edge technology, such as disk replacement and minimally invasive techniques, with more well-known, standard open procedures to develop a treatment plan that is specifically tailored to each individual patient. BMC is internationally known for its pioneering work in minimally invasive techniques, over time expanding the breadth of spine conditions that can be addressed with this approach. Today, the extensive experience of our surgeons enables them to undertake a full range of spine disorders, including many complex procedures―such as revisions, multiple-level disease, fusions, compressions and deformities―using minimally invasive techniques. There are many surgeons who do minimally invasive surgery for this in Boston and beyond, but the incisions used by Dr. Tannoury are smaller than those of others. Patients come from all over New England, and from overseas. 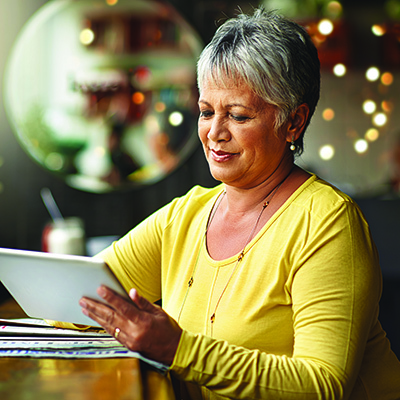 Some patients come in need of need revision surgery, because first surgery – performed elsewhere – failed (revisions are done using a minimally invasive approach). Most patients (95%) qualify for the minimally invasive approach. As a result, more and more patients are able to experience the benefits of minimally invasive surgery. A targeted, more flexible approach that does less “damage” to nearby tissue than open surgery, minimally invasive surgery is safer and more accurate. Patients typically experience less pain and fewer complications, and have shorter hospital stays and a faster recovery, without compromising long-term results. Because of the benefits of minimally invasive surgery, patients who might otherwise be unable to undergo spine surgery―such as elderly, fragile, obese or cancer patients or those with weakened immune systems―now have options, and may benefit from minimally invasive procedures and a lower risk of infection or blood loss. Boston Medical Center has been named a Blue Distinction Center® in orthopedic spine surgery by the Blue Cross Blue Shield Association. The award is given to medical facilities that demonstrate expertise in delivery quality health care. Blue Distinction Centers for spine surgery are awarded to medical facilities exhibiting a commitment to quality care, resulting in better overall outcomes for patients. These facilities offer experienced, comprehensive inpatient spine surgery services, including discectomy, fusion and decompression procedures. Research confirms that hospitals designated as Blue Distinction Centers for spine surgery have fewer patients with complications and fewer hospital readmissions than non-designated hospitals. To learn more about Chadi Tannoury’s work or Boston Medical Center’s Orthopedic Surgery Center, click here or call 844-830-3973. Dr. Chadi Tannoury is an orthopedic surgeon in Boston, Massachusetts and is affiliated with Boston Medical Center. He received his medical degree from Lebanese University School of Medicine and has been in practice between 11-20 years. 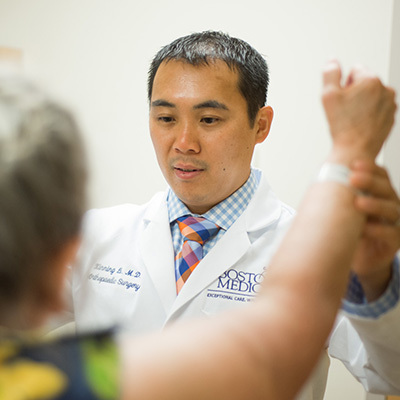 He is one of 15 doctors at Boston Medical Center who specialize in Orthopedic Surgery. Chadi Tannoury, MD.